Interested in taking the Executive Assessment (EA) for admission to an Executive MBA (EMBA) program? Aside from GMAC's EA Official Practice Questions tool, EA study resources are hard to come by. That's why we're proud to announce that we've created the first Executive Assessment course on the market, the Executive Assessment Masterclass. Why choose to take the EA over the GMAT? According GMAC, "The Executive Assessment was specifically designed to evaluate the skills you have already acquired during your career. This design makes extensive preparation unnecessary, but we do strongly suggest that you practice enough to feel comfortable responding to each question in just a few minutes." EMBA candidates are busy people, but they're also competitive; they need prep that is efficient-yet-comprehensive. Our Executive Assessment is just that: In just two half-day sessions over the span of a weekend, we’ll give you the tools you’ll need to ace the EA. The EA Masterclass includes a detailed syllabus, a full set of eBooks, and one-on-one time with an expert instructor. Take your career to the next level on your schedule! Which EMBA programs accept the EA? Interested? Our first EA Masterclass will take place live online on Saturday and Sunday, August 5-6 from 9:00 AM EST - 2:00 PM EST. Visit our GMAT Blog on our website and read "Introducing Our Brand-New Executive Assessment Masterclass" to learn more. 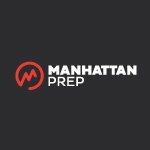 The world leader in GMAT test prep. We believe test prep should be real education. Your education starts here. Too bad I have not read it earlier.... Planning to repeat it? Sorry to hear that you found out too late about the Executive Assessment Masterclass! We will be holding more EA Masterclasses in the future, so be sure to follow us here on GMAT Club or make a student account on our site to be sure that you're notified.